Though the N22 and N8 look similar on the surface, their tonal characteristics and functionality are essentially as distinct as night and day. The N22 is a near-field mic and the N8 is a far-field, so in terms of working distance, the mics are about as different as can be. Most traditional ribbons were designed to function as far-field microphones that recorded sources from a relatively great distance. 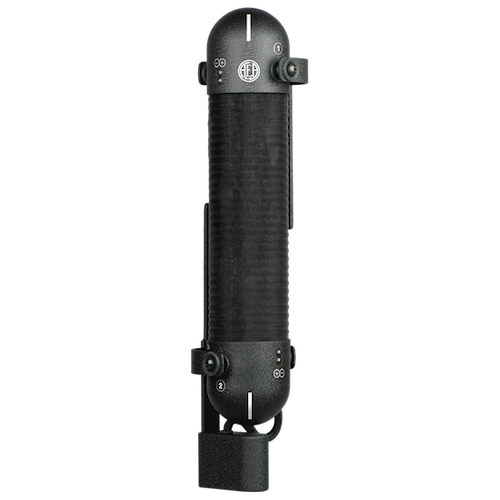 Only recently have near-field ribbon microphones become popular, with designs more rugged and compact in size. Most far-field ribbon microphones were designed to be placed at a good distance from the source. 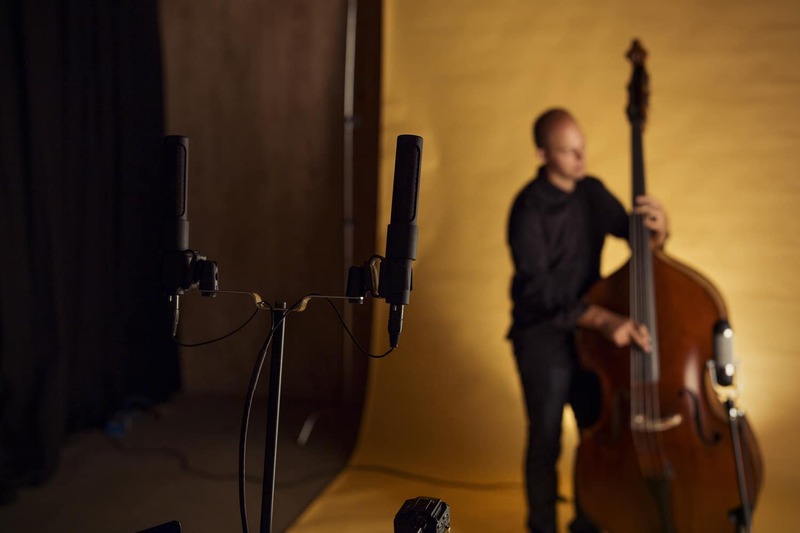 Every ribbon mic has an optimal distance from which they perform without sacrificing low-end or high-end, and delivering what is called a balanced treble-to-bass ratio. The N8 was designed to have equal treble and bass from as far 20 feet (6 meters) from the source. 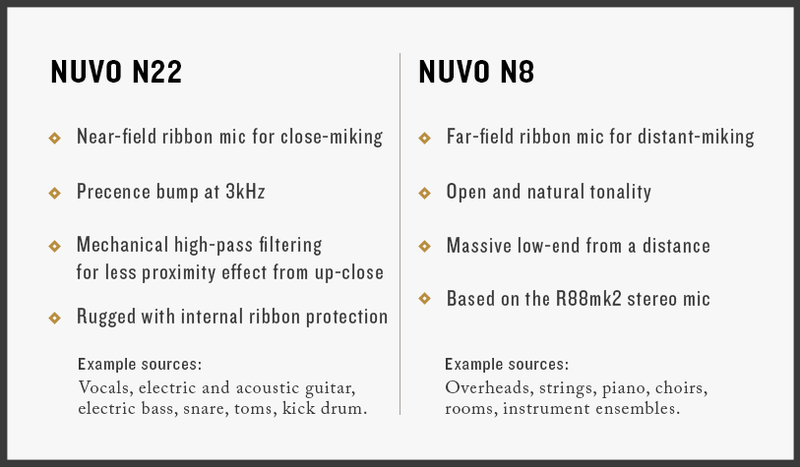 Unlike the N22, which has several layers of protective material around the ribbon transducer, there are only two thin layers of silk wrapped around the N8 ribbon, allowing it to capture wide open, natural sound. With balanced bass at a distance of 20 feet away, it is perfect for drum overheads, strings, room miking and outside a piano. 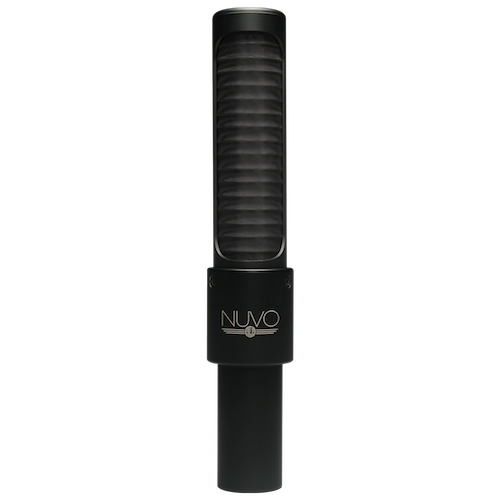 The N8 delivers considerable proximity effect when positioned within 12 inches of a source (30 cm). In smaller studios or on tiny, cramped stages, the low-end has the potential to overwhelm if the microphone is too near the source. 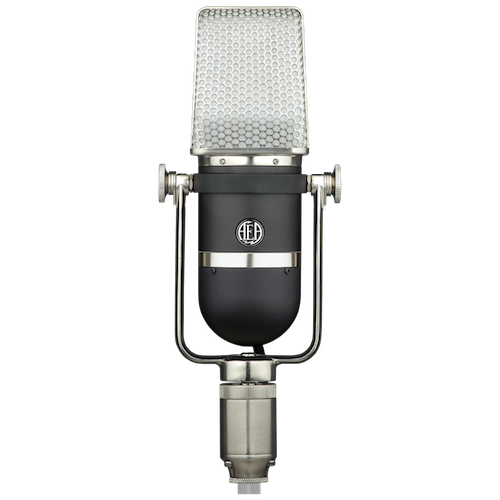 To expand beyond the decades of ribbon mics’ far-field dominance, AEA introduced a new generation of ribbon mics. This is when the N22 enters the field. 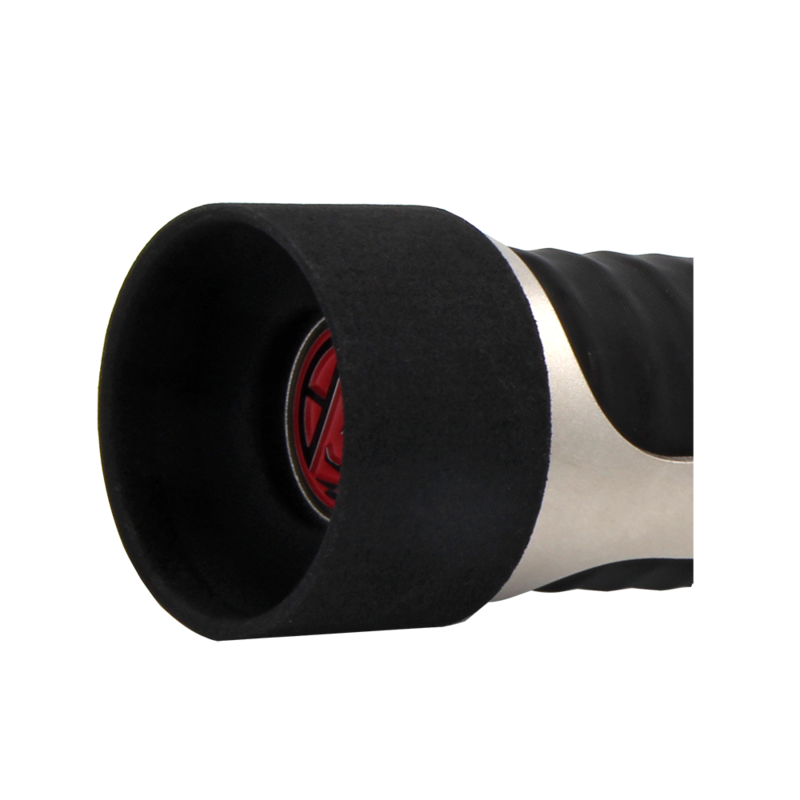 Its internal design delivers a balanced treble and bass ratio from a much closer working distance. The near-field N22 possesses an integrated mechanical high-pass filter that allows users to place the mic right up against an instrument or amp. This result is achieved without an EQ circuit. 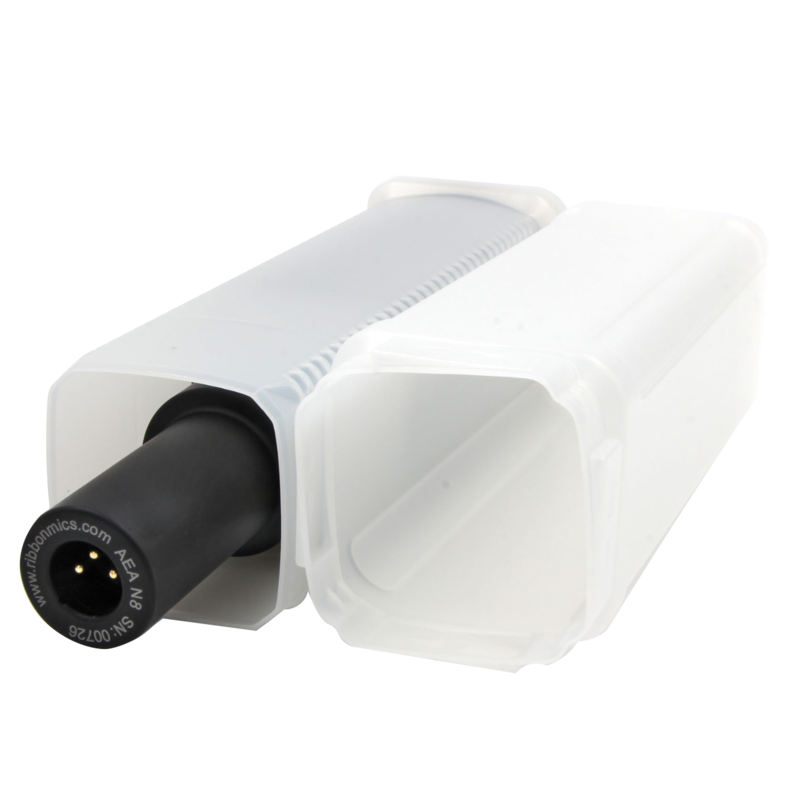 It naturally reduces proximity effect while minimizing room tone that often causes problems in smaller spaces or iso booths. Naturally rolling off the low-end before it hits the ribbon creates a much different sound than rolling off the low-end with EQ. Sometimes, proximity effect can be so strong that it obscures the midrange which can be extremely difficult to fix. We always recommend trying to get your final sound by selecting the right mic and moving it to the right position. Unlike far-field ribbon mics, the N22’s optimal distance for miking is between one and 18 inches (2 cm – 0.5 meters). This makes it perfect for electric guitar and bass cabs, kick drum, acoustic guitar and, of course, vocals. Because the midrange and top-end are not obscured by proximity effect, it also alleviates the need to blend an additional dynamic mic to add more bite. 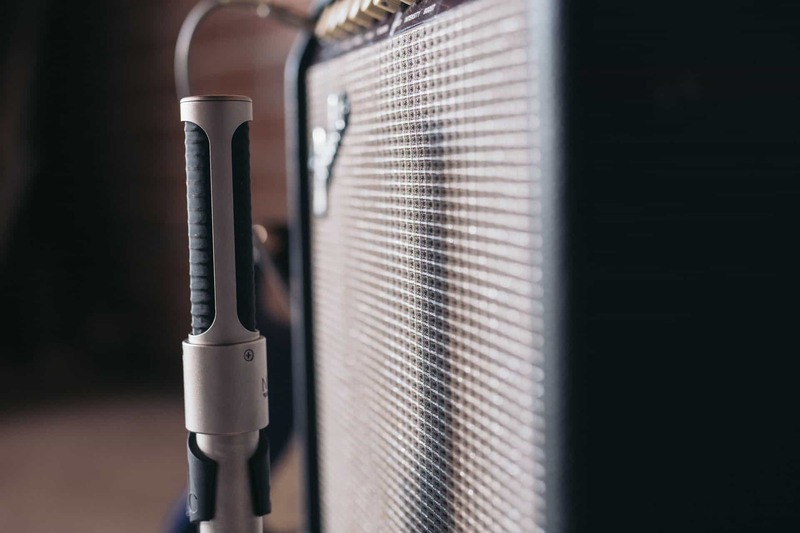 For engineers accustomed to using other ribbon mics, the idea of positioning the N22 right against a guitar cab can take some getting used to. Any further away than a foot and the N22 may sound like it is actually lacking bass. So knowledge is king when using it. The first thing to decide is how much room tone and natural ambience you want in your recordings. This is directly linked to how close your mic is positioned to the source — the closer to the source you place your mic, the more direct sound and less room tone will be captured. The further from the source you place your mic, the less direct sound and the more room tone will be recorded. 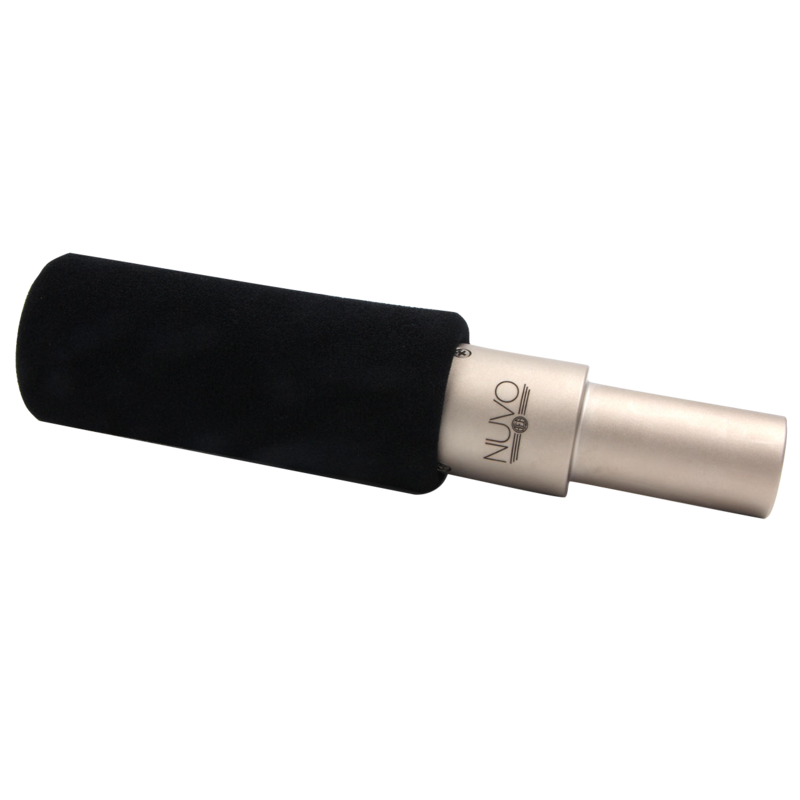 If you are looking for a more direct sound with a minimal amount of room tone, the N22 is a great first option. Because it has less proximity effect, it allows you to get right up against the source while still retaining a balanced sound. The N22 sounds perfectly balanced at about 2 inches (5 cm) away from a guitar amp. Because the front side of the mic is placed very close to a loud source, the mic does not capture much room tone. 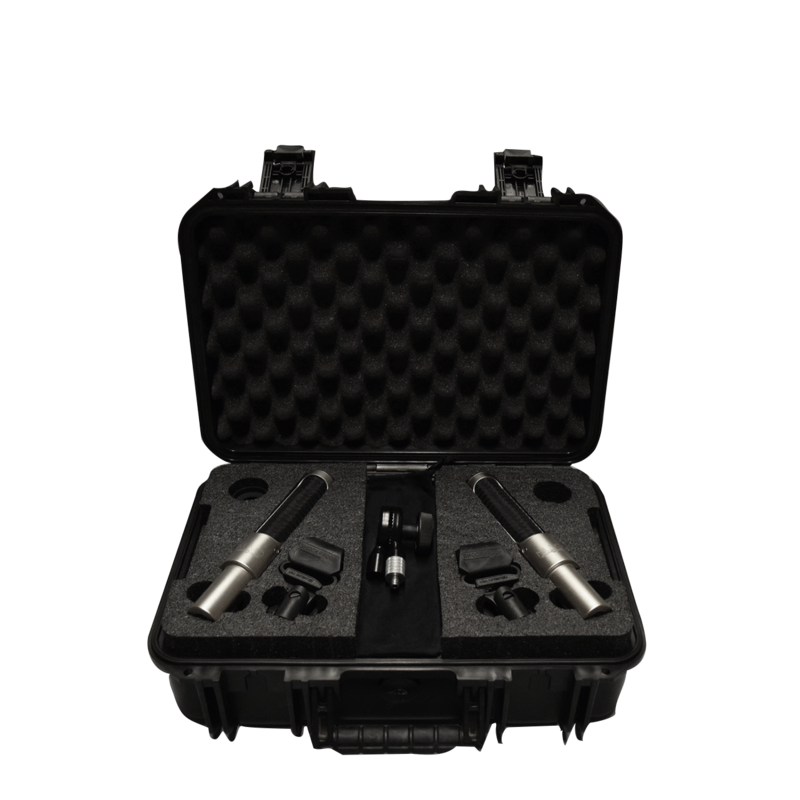 This is perfect for engineers who want the pure sound of the instrument with limited ambience. It is also a solution for people who are in less than ideal rooms allowing them to achieve a balanced sound without adding any unwanted room tone. The N8 is also a fantastic choice for guitar amps, but sounds much more balanced at about a foot away from the source. At this distance, the mic will pick up more room tone than the N22. From a foot away (0.3 meters), it will not be an overwhelming amount of room tone, but it is enough to sound different than positioning it right up against the source. Depending on the sound you’re going for, a little room tone can make your recordings sound very natural. Think of microphones like artist’s paint brushes, each a magic wand with specific attributes that allows the painter to weave different colors across a canvas. The more experienced the artist becomes with the special nature of each brush, the more proficient they are at creating increasingly subtle art. Now, that we’ve told you how these two microphones were designed, it should be noted that all rules can and should be broken when its right for your situation. Steve Albini loves the N8 on electric guitars while Wilco’s favorite electric guitar mic is the N22. Mick Conley favors the N22 on overheads and Chris Koltay uses N8s both live and in the studio on overheads. In the end, what matters is the tone each artist is trying to capture. There are no application rules with any AEA mic (other than don’t use them to record canned air to emulate Joy Division’s hi-hat sound). 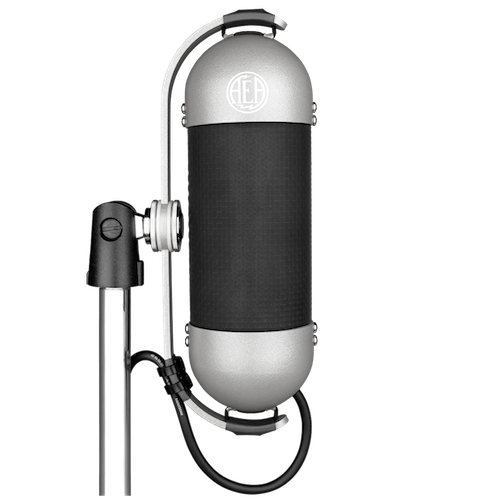 Each AEA microphone is a specific artistic tool engineered for a palette of uses. The best way to find out which microphone works best for you is to try them and experiment with the model right for your situation. Fortunately, the N22 and N8 are accessible and low enough in cost to work side-by-side.